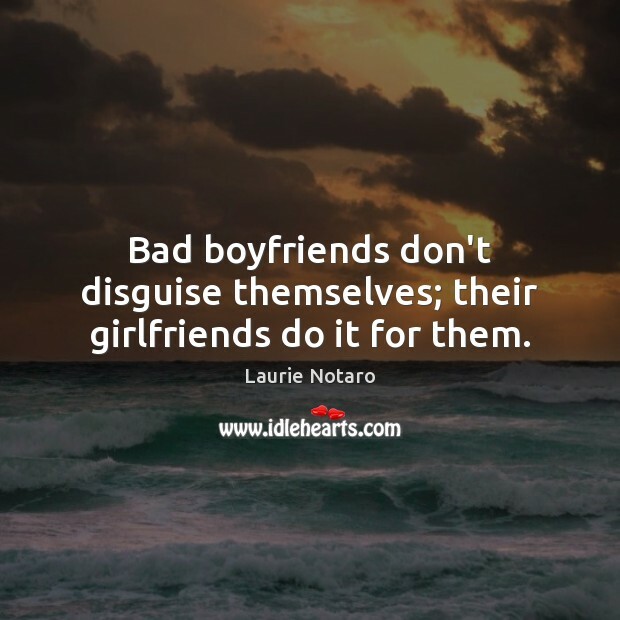 Quotations about Bad Boyfriend. Quotes to stimulate mind and drive action! Use the words and quote images to feed your brain inspiring things daily! Creativity is connected to your passion, that light inside you that drives you. . . . Your creativity is not a bad boyfriend. It is a really warm older Hispanic lady who has a beautiful laugh and loves to hug. 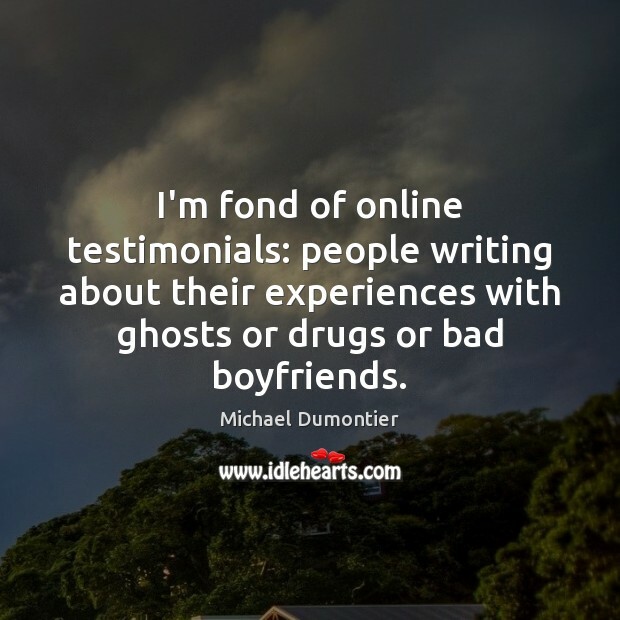 I'm fond of online testimonials: people writing about their experiences with ghosts or drugs or bad boyfriends. 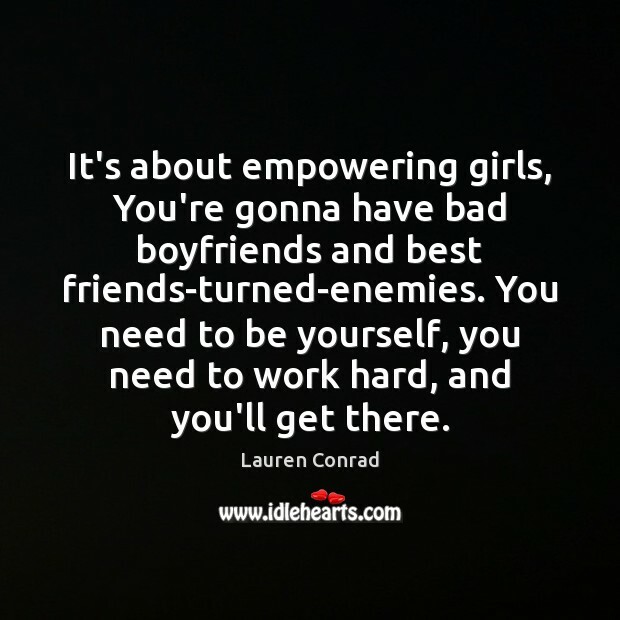 It's about empowering girls, You're gonna have bad boyfriends and best friends-turned-enemies. You need to be yourself, you need to work hard, and you'll get there. 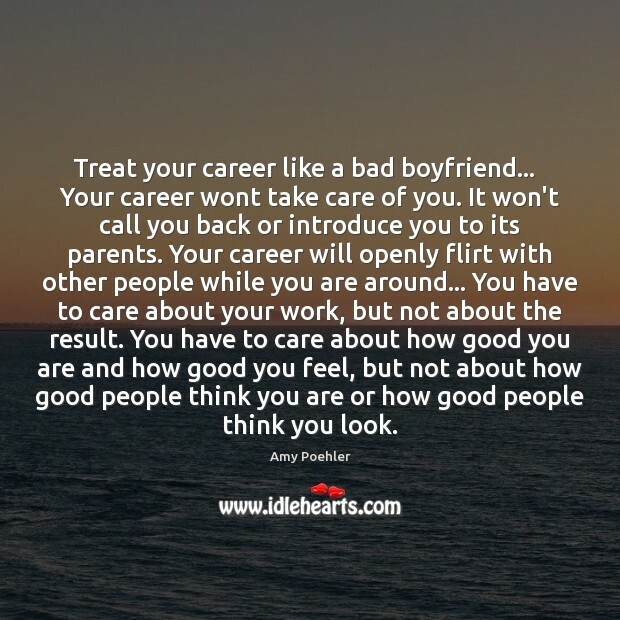 Treat your career like a bad boyfriend... Your career wont take care of you. It won't call you back or introduce you to its parents. Your career will openly flirt with other people while you are around... You have to care about your work, but not about the result. You have to care about how good you are and how good you feel, but not about how good people think you are or how good people think you look. If your career is a bad boyfriend, it is healthy to remember you can always leave and go sleep with somebody else. A bad boyfriend is someone you give everything to - you live with him, cook for him, sleep with him - thinking he is going to marry you and then he doesn't. When you are giving your all to a job and not getting credit, your job is a bad boyfriend. It likes it when you don't depend on it. 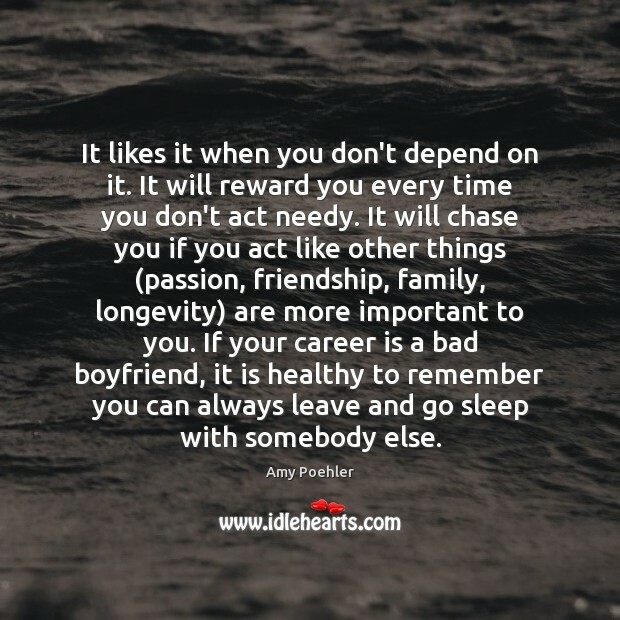 It will reward you every time you don't act needy. It will chase you if you act like other things (passion, friendship, family, longevity) are more important to you. 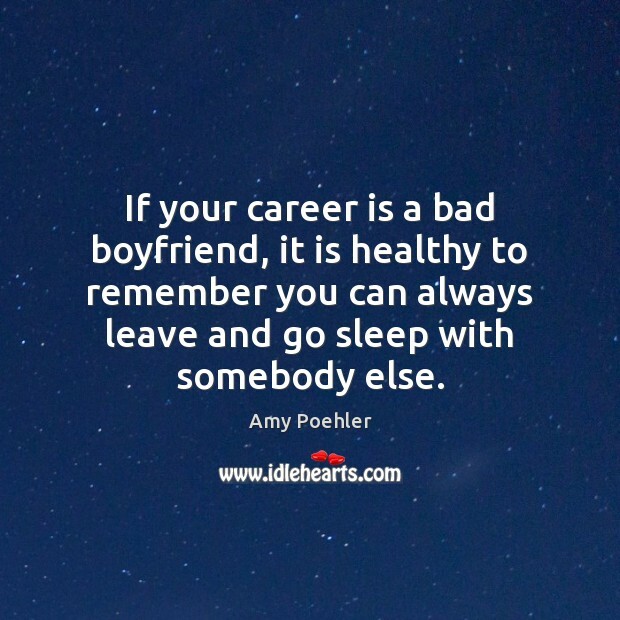 If your career is a bad boyfriend, it is healthy to remember you can always leave and go sleep with somebody else. I'm a bad boyfriend. She's a bad girlfriend. We deserve each other. 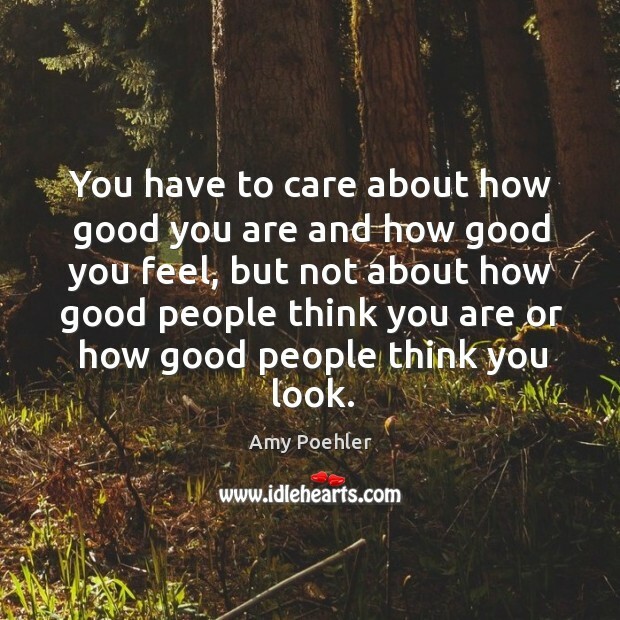 You have to care about how good you are and how good you feel, but not about how good people think you are or how good people think you look.